Half Girlfriend is an Upcoming Bollywood Film in 2017, It is Romance Film and Arjun Kapoor, Shraddha Kapoor in lead roles. This film is Directed by Mohit Suri and Produced by Shobha Kapoor, Ekta Kapoor. It is made under the banner of Balaji Motion Pictures, NH Studioz. Half Girlfriend is scheduled to release on 19 May 2017. The second new song 'Half Girlfriend' has been released. 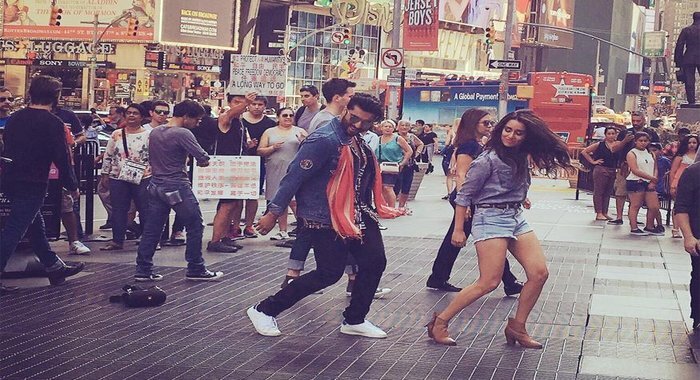 Arjun Kapoor and Shraddha Kapoor are showing each other in this song. The movie trailer has already been released. It is getting better response on social media. The story of the film is centered on Chetan Bhagat's novel. This film Prominent shooting locations included Miranda House in New Delhi and Times Square and the UN Headquarters New York City. Around 200 students from different colleges were roped in to the play extras as some of the scenes demand Delhi University students in the film. The trailer was released on 10 April.